Purchase MAX31855K Thermocouple Amplifier Module online in India at low price form DNA Technology, Nashik. MAX31855 Thermocouple Amplifier Module converts the K, N, J, T or E Thermocouple signal into digital signal with cold-junction compensation. It outputs 14-bit signed data through SPITM compatible interface in the read-only format. The temperature resolution is 0.25, the highest temperature readings is up to the + 1800℃ and the lowest temperature readings is to -270℃. 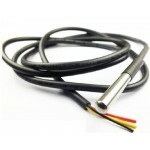 And for K type thermocouple, the temperature range is -200℃ to +700℃, keep the accuracy of +/-2℃. 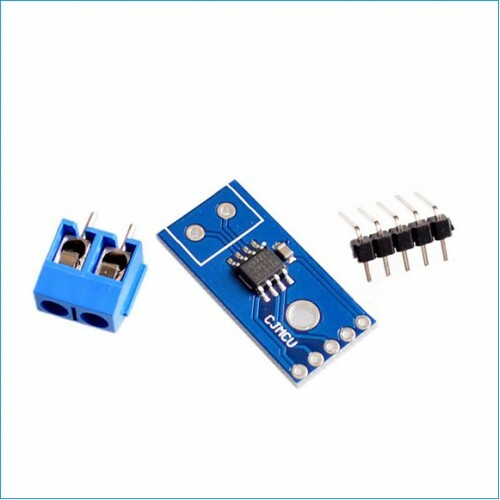 MAX31855 Thermocouple Amplifier Module is a thermocouple to digital output converter, built in 14-bit analog to digital converter (ADC). The Thermocouple module has cold end compensation detection and correction function, digital controller, SPI compatible interface, and associated control logic design. In the temperature controller, process control or monitoring system, it is designed to use with external micro controller (uC). Accept K, N, J, T, E type thermocouple signal input. Mainly applied in temperature signal measurement. MAX6675 K-Type Thermocouple Temperature SensorThe MAX6675 performs cold-junction compensation and di..
Waterproof DS18B20 Digital Temperature SensorThis is a pre-wired and waterproofed version of the DS1..